Rated 4.5 out of 5 stars by Golf Digest Magazine for fantastic service & value! The newly remodeled Mountain Valley Golf Course is home to two 18-hole Championship Public Golf Courses and Seasons Restaurant, Banquet Venue, and Party Deck. Plan your relaxing, scenic getaway with a Play and Stay Package and enjoy free shuttle service to the new nearby Comfort Inn and Suites – Barnesville. 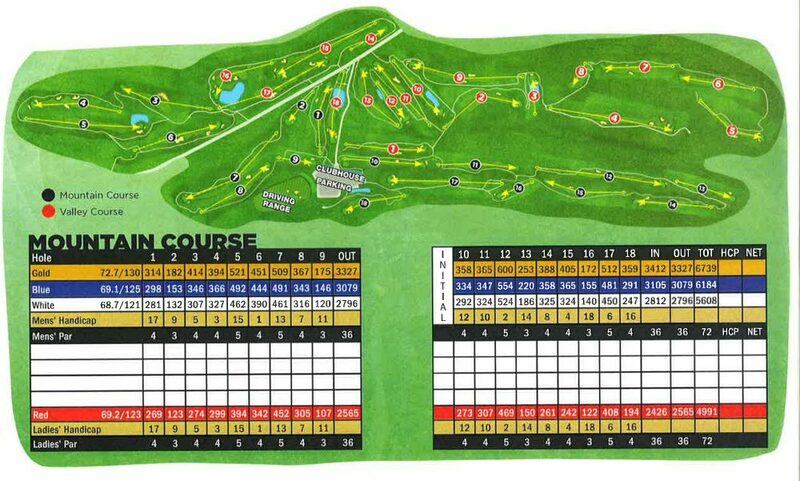 Both courses are carved through the forests of the Broad Mountain, overlooking Locust Valley in a beautiful setting with each hole isolated and unique. Visit one of the most player – friendly golf courses in the area.